According to RTE, the bank holiday weekend is sponsored by Liberty insurance. Humph. 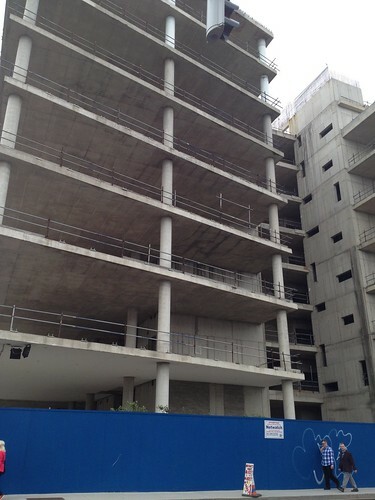 Anyhow, it’s certainly not sponsored by Anglo-Irish Bank whose unfinished headquarters looms over the docklands. As Mr. Waffle said, enough irony for a double Alanis Morisette album. 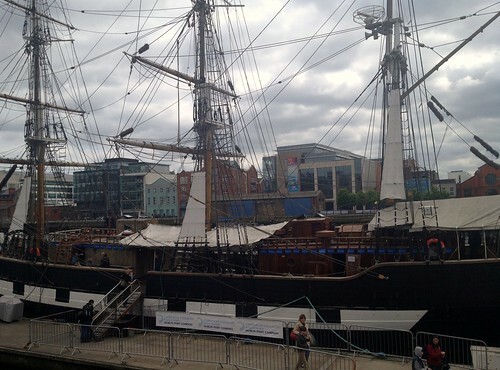 We were down in the docklands yesterday for organised fun and it was, as ever, disastrous. Queue to get on to small boat; fork out for overpriced random treats; walk for miles. I don’t know why we do this to ourselves. Here are some photos which in no way reflect the actual level of fun had at the event. Today we fulfilled a long held ambition of mine and went on a day trip to Northern Ireland. It was, as Daniel said, almost successful. The weather was beautiful. 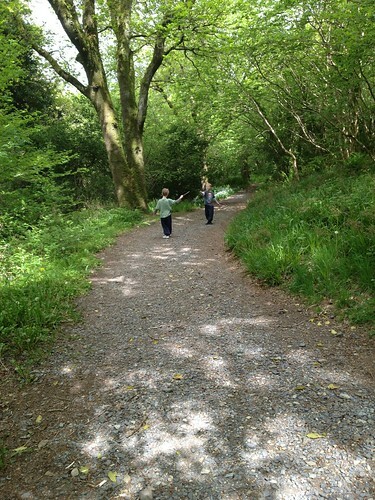 The walk through the woods near Rostrevor was lovely. But herself was wearing fur lined boots and she was very toasty. She told us about it a great deal. 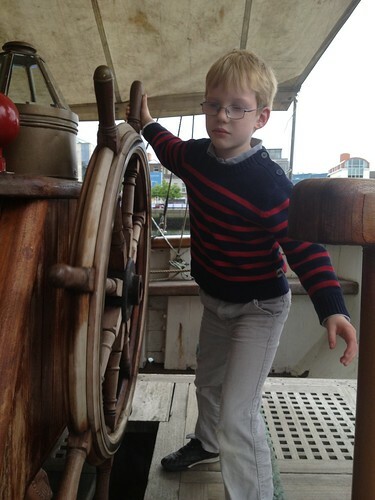 Michael had fashioned a wand for himself which he lost and no other twig in the forest was a substitute. We went back to the viewing point to get it. It is now beside his bed. In case Voldemort attacks during the night. On the plus side, the views were beautiful and we did reach the big stone (Cloch Mór) which Fionn mac Cumhaill was supposed to have thrown at a marauding Scottish giant. Tempers were a bit frayed, though, by the time we had our picnic at 2. However, I finally got to use the fancy picnic basket that we got as a wedding present nearly 12 years ago, so another tick for my life list. 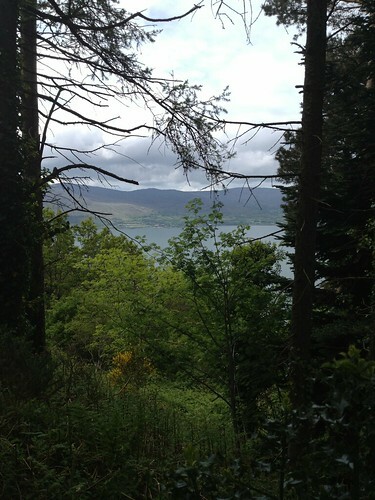 After the picnic, we went into Rostrevor; it was pretty but very quiet. 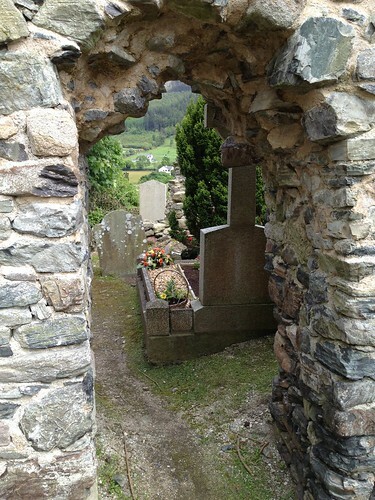 We visited a graveyard where there was a 15th century church ruin and tried and failed to find Giant Murphy’s grave. The children refused to leave the car so Mr. Waffle and I wandered round in sunshine peacefully reading 19th century gravestones. 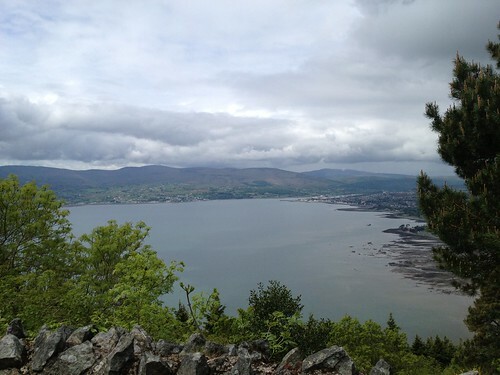 Then we went to look for a nice cafe in Warrenpoint. I was led astray by the internet which plugged a place called Sweet Pea very hard. It’s in the car park of a large garden centre rather than looking out over the beauty of Carlingford Lough so, poor choice. On the plus side the internet said it was “waaay overpriced” but to our Dublin sensibilities £1.50 for a cup of tea was excellent value. The children quite enjoyed crossing the border and using sterling, seeing different signposts and red letterboxes and telephone boxes. However, when we crossed back into Co. Louth and I said that we had left Northern Ireland, Michael rolled down his window and said, “Ah, Irish air”. He has much to learn about the complexities of Irish identity. Addendum: I should have said, a part of Michael remains forever in Northern Ireland as he finally lost that tooth that has been hanging by a thread for months. 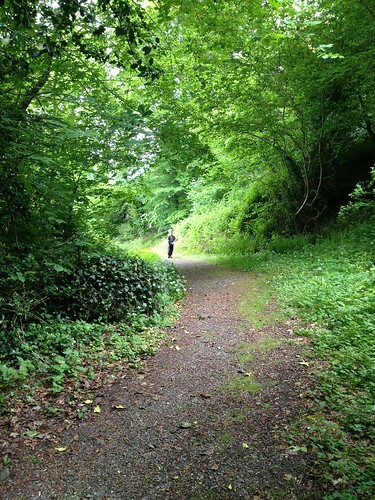 Despite our best efforts to find it, it remains hidden in the long grass in Rostrevor. ‘However, I finally got to use the fancy picnic basket that we got as a wedding present nearly 12 years ago, so another tick for my life list.’ This is the most poignant thing I have read on your blog in a long while (abandoned GAA players and all). Well, it’s a week for using wedding presents that have long languished in the shed waiting for their moment in the sun. We used the barbecue tonight. Non-stop excitement!